Wearable tech still hasn't exactly graduated so it's no wonder the cool kids still rule the roost. We don't mean who hit puberty first, we mean the ones who figured certain things out before anyone else. One of our jobs is to work out (and constantly review and revisit) who that is. We had some earnings calls last week which always helps and this week we've seen more sales clues and analyst reports off the back of those. 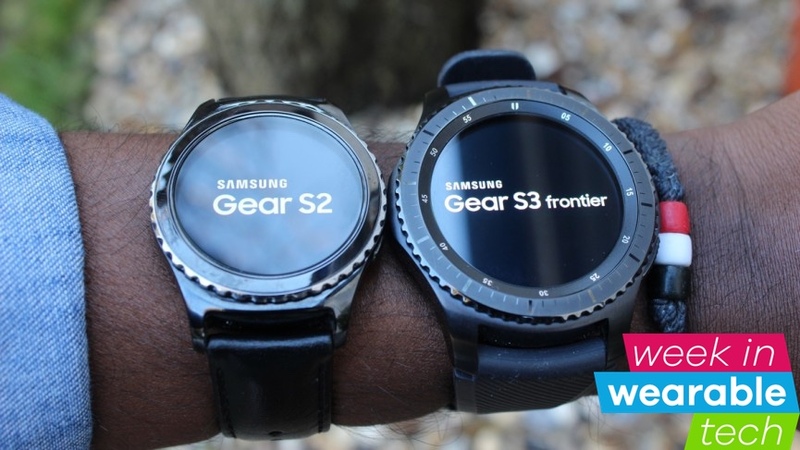 Aside from the news that the Apple Watch Series 2 is stealing fitness tech sales from Fitbit, the real surprise is that, according to one analyst report, Samsung's Tizen OS that powers the Gear S2 and Gear S3 is more popular than Android Wear. Now that you've regained your composure, it's important to know that there just a 1% difference in market share, but it does suggest that the Gear S3 was more of a hit than most wearable watchers think. Here's what we think: Android Wear will be back in second place behind watchOS once all the designer AW watches (Fossil, Diesel, Emporio Armani, Hugo Boss, Tommy Hilfiger etc) due this year are on sale. Expect big things from that slate of devices. Snap Spectacles' maker might not have figured out how to turn a big enough profit, but definitely has made its mark on what we talk about when we talk about smartglasses. From the amount of revenue in Snap's 'Other' column in its earnings, we can estimate that it sold about 60,000 pairs of Specs from Jan till March, even though they were only on sale in pop-up vending machines until the end of February. Plus that's double what Snap sold at the end of 2016. It's a very modest start but we're actually quite buoyed by the news - it's a completely new lifestyle product, that has freed the category from Google Glass, plus Snap's demo is one that everyone is after. The best comparison for those Spectacles numbers is actually the very early high end VR headset sales. And even those climbed steeply. Back in the land of less experimental – as Evan Spiegel calls the glasses – we got some indications of how Apple, Fitbit, Android Wear and Tizen are faring. The biggest news of the week came from another cool kid of connected tech, Amazon. Amazon went out on a limb with its Echo device – it's ambient computing, smart speaker – which has got better and better (see this week's Alexa voice calling) and acted as a gateway drug for the other smart home gadgets. Everyone from Microsoft, with its new Cortana powered Harman Kardon Invoke, to Chinese tech giants have copied the idea, and even Apple looks set to get involved.Personally we think this might be Amazon putting a foot wrong, though. The Echo Show is - as we expected - an Echo with a screen. The features are spot on - hands free video calling, doubling as a security camera - but it looks and feels quite retro, bringing back bad memories for me of reviewing Kindle Fire tablets. Surely we can get something with a more home-friendly design with a display? Maybe the new wave of smart home hub startups stand a chance. Companies like Duo AI, Brilliant and Morpheos are putting voice commands and displays into smart lamps, light switch consoles on the wall and even smart mirrors. Here's a few names you might not associate with desirable, cutting edge tech: Microsoft, Acer, Dell, HP. They're all gunning to be part of the VR gang with Microsoft's Mixed Reality platform, though, which looks more like a real proposition by the day. This week we found out the minimum PC requirements for the upcoming headsets - in short, you won't need a beastly gaming PC as with the Oculus Rift and HTC Vive. And the Acer and HP headsets are up for pre-order, priced at $299 and $329, from today with shipping in the summer whatever that means. What I found most interesting, though is that we got our first look at its handheld controllers. They look like a cross between a mini Vive wand and Oculus Touch with a touchpad, analog stick and various buttons. These don't need any sensors around the room either. And if it sounds like Mixed Reality is essentially Microsoft VR, that's because so far it is. For now, with a truly mixed reality HoloLens 2 not due till 2019, that's no bad thing.